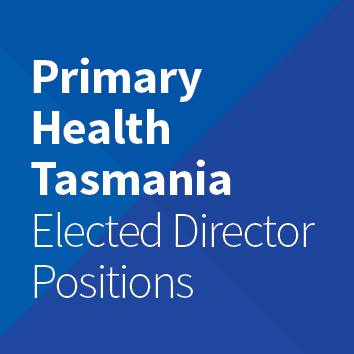 Primary Health Tasmania is seeking to fill a number of elected director positions on its Board of Directors. This is undertaken in accordance with Article 9 of the Constitution and in line with the Annual General Meeting (scheduled for 14 November). Applications are sought from people with a range of industry skills across the primary health care profession as well as various commercial skills. All directors are expected to possess sound professional skills and personal attributes. The terms are for three years and are elected by the company’s membership. Applications close Monday 10 September 2018. We encourage Members to support the Board and distribute the opportunity widely through your own organisations and networks. Reminder: If you are intending to renewal your Tier 1 Membership please do so as soon as possible to assist with the preparation for the elections and AGM.